If you are considering visiting Maine this winter, we have a list of winter activities for you to enjoy in the Moosehead Lake Region. 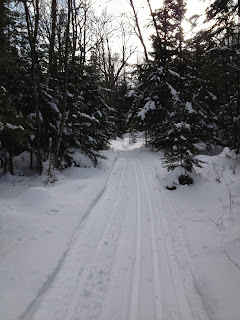 I feel inspired to write about winter activities in Maine because today I had a wonderful morning cross country skiing in Greenville on our local Greenville Cross-Country Ski Trails at NREC. The trails are groomed for classic skiing in the woods...and the groomer has done an amazing job! I thoroughly enjoyed the loop trails and am already looking forward to the next time I can head out. Another great thing about the cross country ski trails at NREC is that you can park at the Moosehead Lake Region Visitor's Center. The beautiful, meandering wooded trail system starts and ends there. Snowmobiling in the Moosehead Lake Region is the next big activity that is a must do when you visit us here this winter. I can't speak from my own experiences on the trail, but Jeremy has a sled and reports in daily on how the trial conditions are out there. 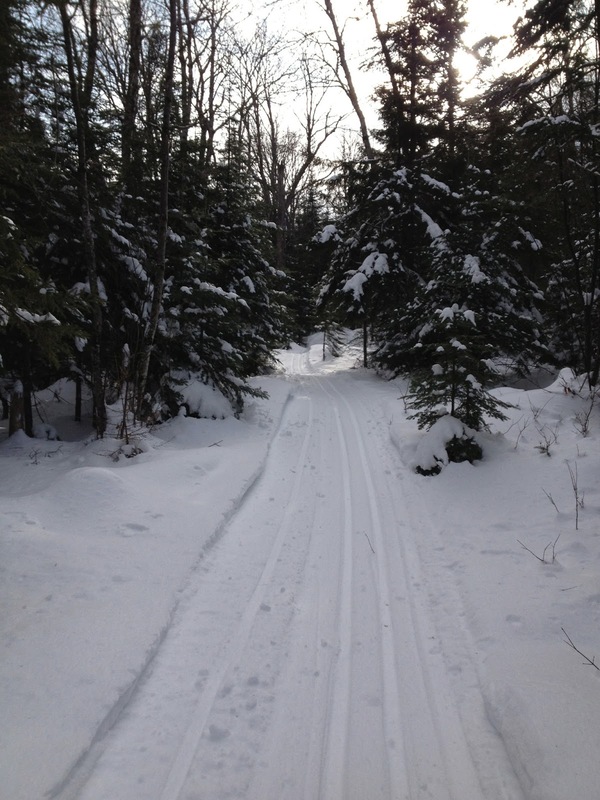 All of the ITS trails are groomed and in great condition from Greenville north. We also have some very happy sledders staying with us at our motel that have ridden from Greenville, the Grand Falls beyond The Forks, Rockwood, Jackman, and Pittston Farm. Ice fishing season has just begun! There is ice on the small ponds and Moosehead has ice in the coves and today's report was that in Rockwood today, there is a skim of ice on the lake. Of course, Moosehead Lake is still not safe for traveling on with your snowmobiles, but ice fishing is on! We saw some ice fishing folks out today on the east cove in Greenville. The 6th Annual Moosehead Lake Region Ice Fishing Derby is slated for the end of the month, January 25-27, 2013. Lastly, if you are considering dog sledding as an activity when you visit us this winter, there are some great guides in the area. But, if you want to be a spectator, we hope to see you for the 8th Annual Wilderness Sled Dog Race on February 2, 2013. There will be two races: a 30 miler and the annual 100 miler. Snow in Maine in the winter means time for Northeast Whitewater Rafting to enjoy every minute of it and we know that spring rafting will be amazing! We hope to see you soon.